"Honey" Locust accurately describes this pretty wood, as it mellows to just that color in short order. 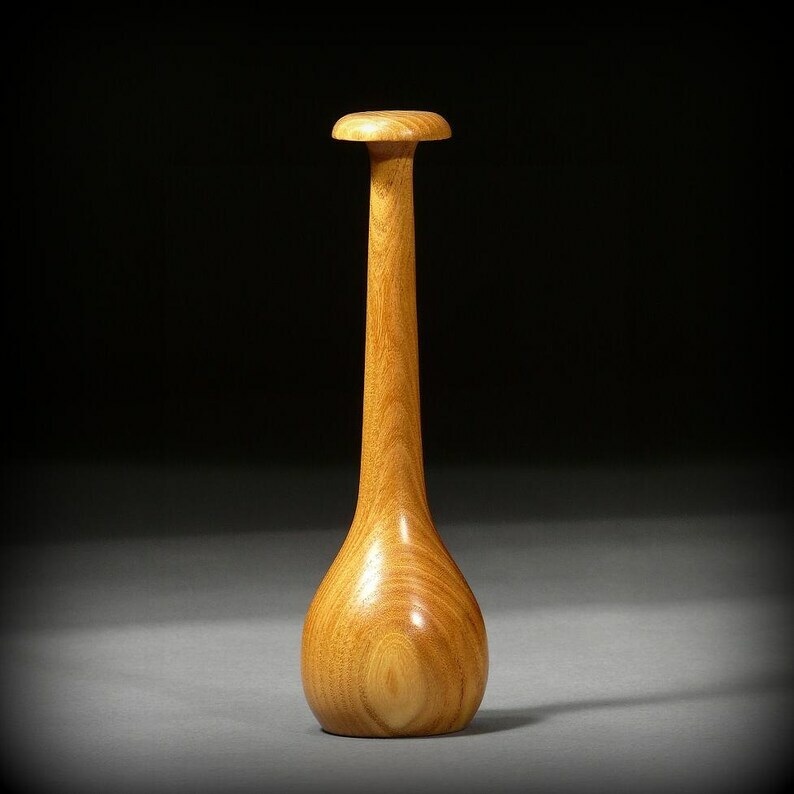 A slightly whimsical weedpot* vase of this wood is a mood lifter. Put some dried weeds in it, and your day will be a honey! Item # HL22, Honey Locust weed pot. * A weedpot, or twig pot, is a vase made to hold dried weeds, flowers, grasses, feathers, etc, that you can find in any field, forest edge, or roadside, particularly in the fall. It is not to be filled with water.